Music on the Edge and the Andy Warhol Museum co-present the groundbreaking new music duo Transient Canvas. Their program features young up and coming composers including: David Ibbett (Branches), Marissa Hickman (Anatomy of the Infinite Machine), Brian Sears (Tremendous), Dan VanHassell (Epidermis), Peter Van Zandt Lane (Exergy Bubblebath), and Kirsten Volness (A Year without Summer). Hailed as "superb" by the Boston Globe, Transient Canvas is elevating the bass clarinet and marimba by commissioning new repertoire that challenges expectations. 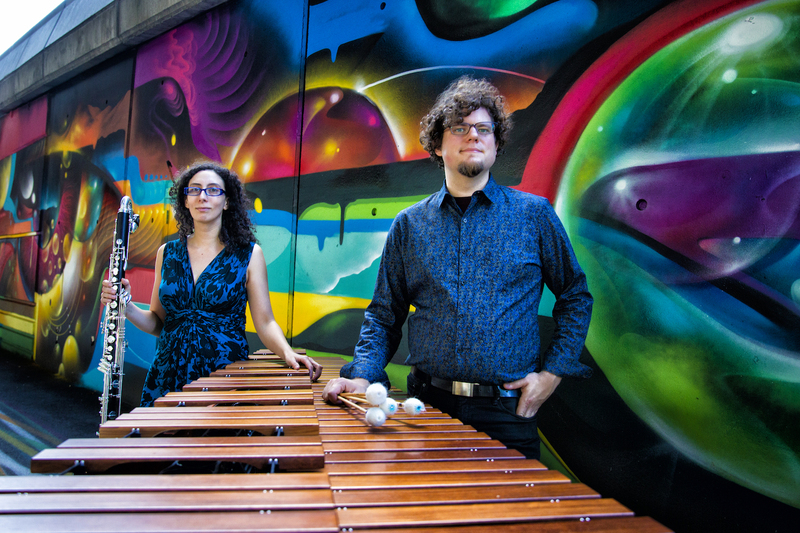 As a duo, Amy Advocat and Matt Sharrock have commissioned over 80 pieces by emerging and well-established composers from all over the world, and they continue to tour extensively in the U.S. and abroad. In August 2017, TC released their first album Sift on New Focus Recordings to rave reviews. KLANG New Music called it "one of the more refreshing things I've heard in recent years." Their second album, Wired, was released on New Focus Recordings on November 2, 2018.